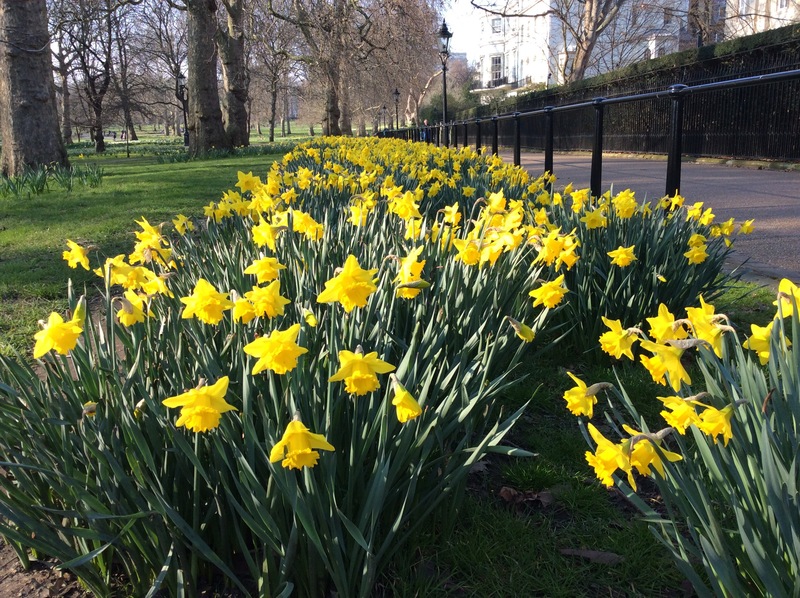 When my wife and I first visited London many years ago, an unexpected February sighting of daffodils in Russell Square amazed me. I never would have thought those bright blooms would be poking their joyous heads out of cold ground so early in the year. But we have pics to prove it to our friends here in the nippy Blue Ridge mountains of America.